Mumbai has a new address and it is indeed an iconic one. It is where a master performs and leaves his audience mesmerised. It is where talent knows no boundaries and one can expect an Oscar winning performance on every visit. If you, my dear reader think I am referring to the recently restored and re-opened Opera House, where entertainment and art have reached dizzying heights, appealing to the most alluring cultural minds, I don’t blame you. But for a connoisseur of good food, a person with a discerning palate, a gourmet, the stage show he looks forward to, is of a different kind. The kind in which the conductor of the orchestra, performs in the kitchen. While the Chef, I will introduce you to dear reader, may not be a branding juggernaut like Heston Blumenthal, (although he has assisted him at the Fat Duck), to us, he is a master conductor. He crafts his own symphonies from his mind, which we think is nothing short of brilliant. 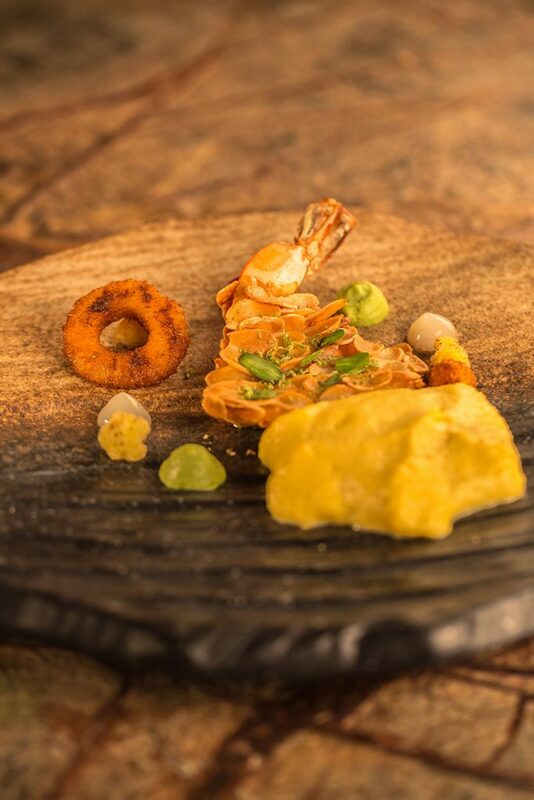 Chef Vikramjit Roy of Progressive Oriental House (POH) is a Culinary Wizard. He makes dishes which redefine the word ‘stimulating’. They are not only delicious, but they appeal to so many more senses than just your palate. 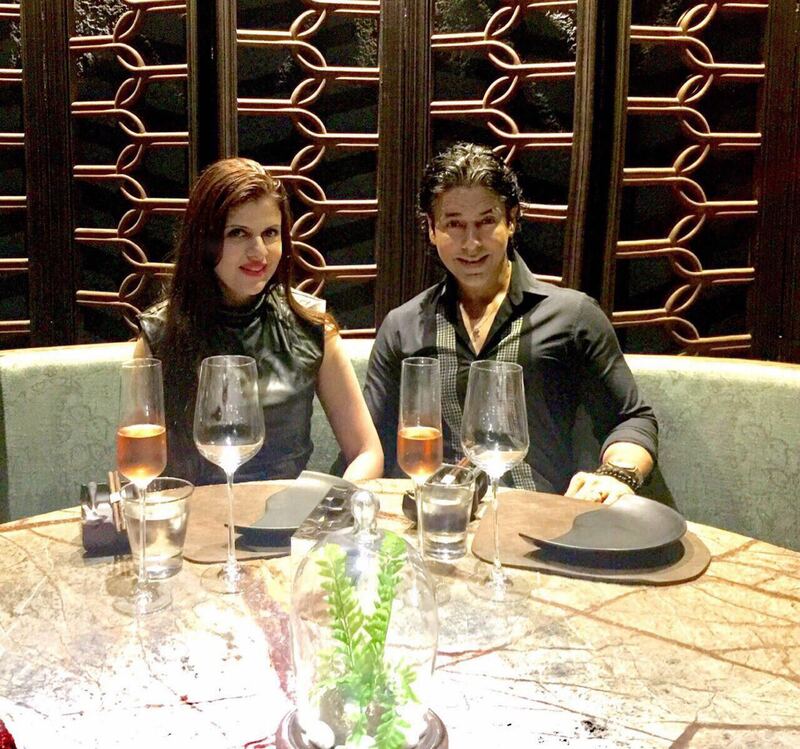 Laveena and I arrived at POH at Kamla Mills on her birthday eve and were shown to a Private Table for 8 which we were told was booked just for the two of us for the evening. A few minutes after we were seated, the curtains were raised and the grand performance began. Poached chicken, barley & lacto-fermented banana flower salad with an asian pesto made with basil & cashew nuts and a thai chilli vinaigrette. 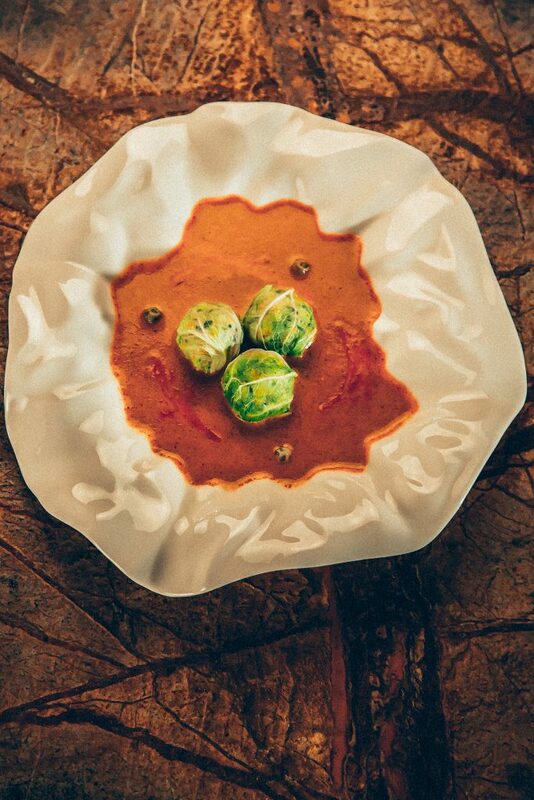 Served on a bed of roasted red pepper coulis. Baked sous vide prawns crusted with young almond slices, and later baked sprinkled with lemon zest. This is served with aerated spiced pumpkin puree, compressed pineapple, clove scented cauliflower, pea mash, lemon gel, fermented beetroot. Finally a sauce of fresh black beans and fermented mango is poured over it. 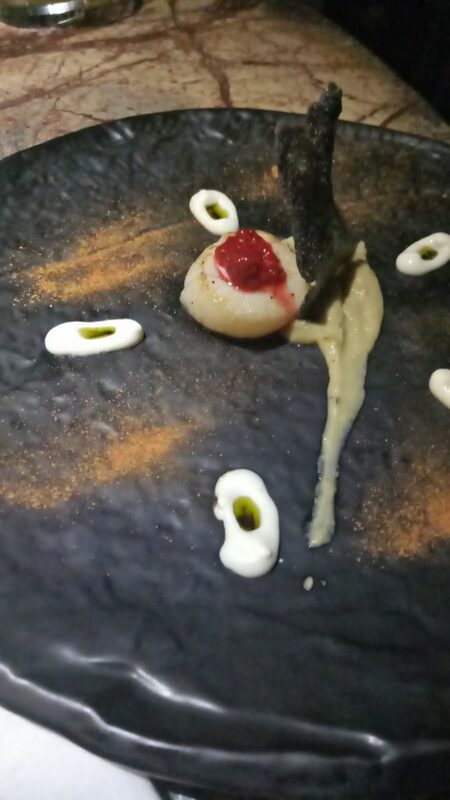 Scallops from Hokkaido region of Japan served with miso butter, smoked eggplant puree, garlic mash, pickled raspberry and a semolina crisp. Crab stick wrapped with crab mousse and then crusted with Crab fakes and baked. 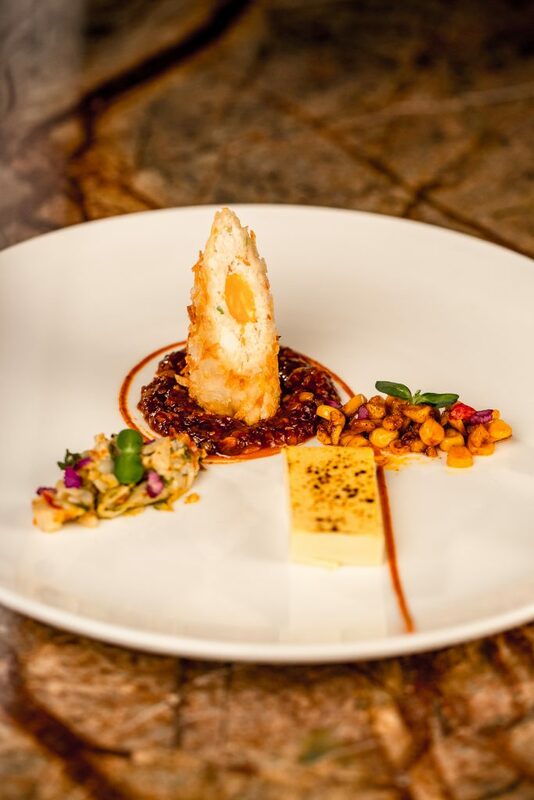 It is served with chilli bean saice, spiced corn kernels, stir fired crab meat and a panna cotta of corn and crab water. 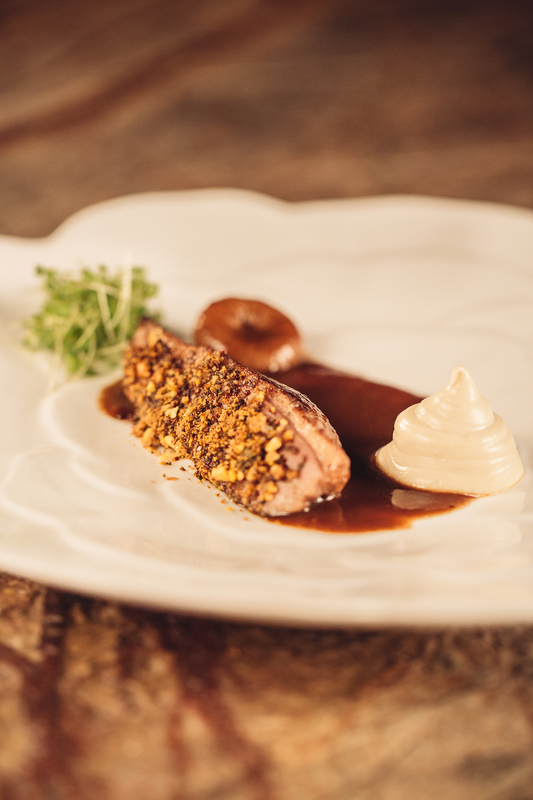 Sous vide duck breast crusted with caramelised cashew, served with cashew butter, poached figs and a tamarind duck jus. 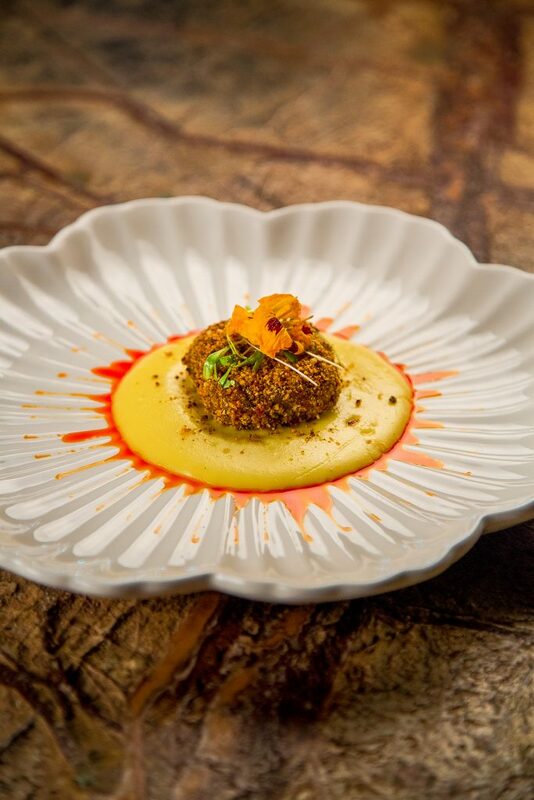 Salmon crusted with pistachio & amaretto, served on a bed of a sushi rice & turmeric ‘polenta’. Lamb meat balls wrapped with chinese cabbage and cooked. Served with Thai Red curry, thai eggplant and dehydrated eggplant crisp. This is served with a home made steamed vermicelli noodles. 70% bitter single origin chocolate with coriander water, dehydrated coriander powder, coriander seed caramel. Apples cooked with soy and then baked in an onion puff, served with soy caramel ice cream, pineapple cooked in soy crisp and sweet soy reduction. 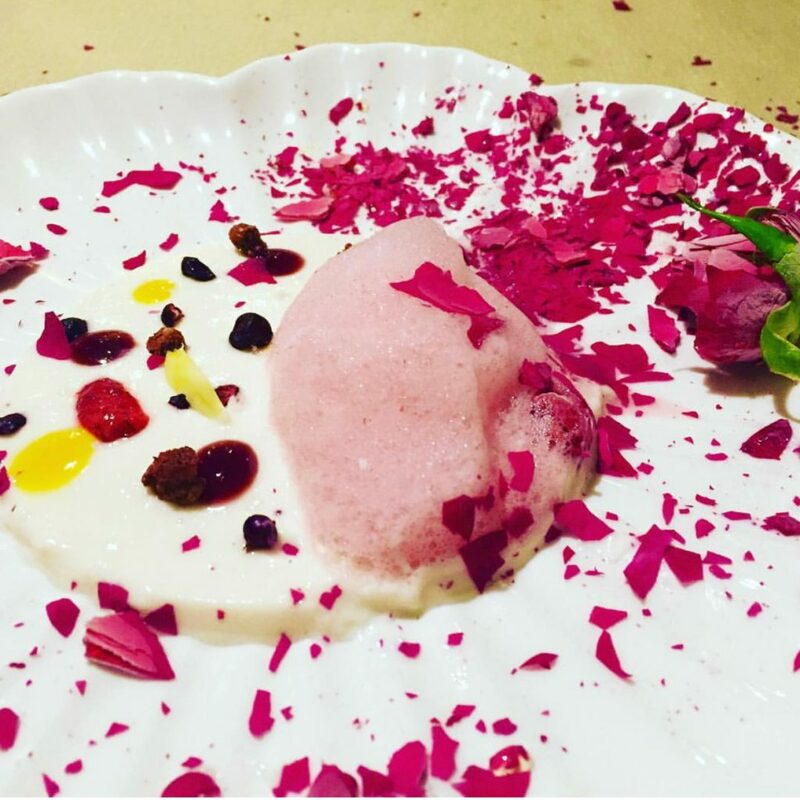 Rose – Almond milk and rose panna cotta with textures of fruits, a foam of raspberry and a lavender honey poached cryo-fried edible rose. 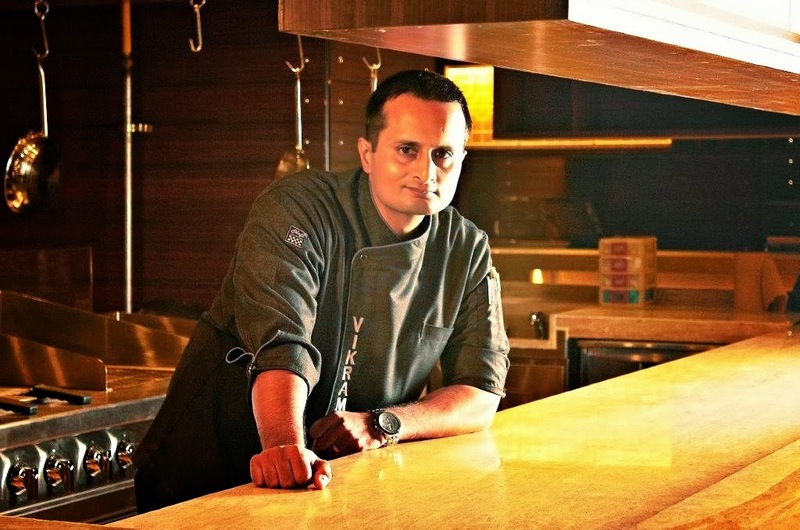 It is not just the use of modern cooking techniques which highlight Chef Vikramjit’s skill with thickeners, enzymes, liquid nitrogen, dehydration, sous vide, and other non-traditional means of cooking. There is so much more to what this young genius does. In search of perfecting what is on your plate, this magician, actually scripts a fairytale and ensures that what is served to you is the ultimate hero of his esculent grand presentation. 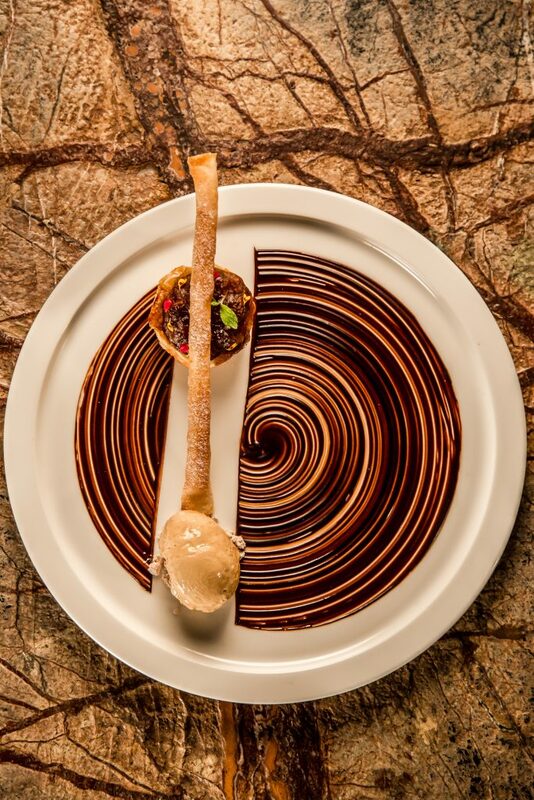 If you are looking for a place to celebrate a special occasion, we highly recommend the Chef’s table at POH. We loved it and plan to return real soon. 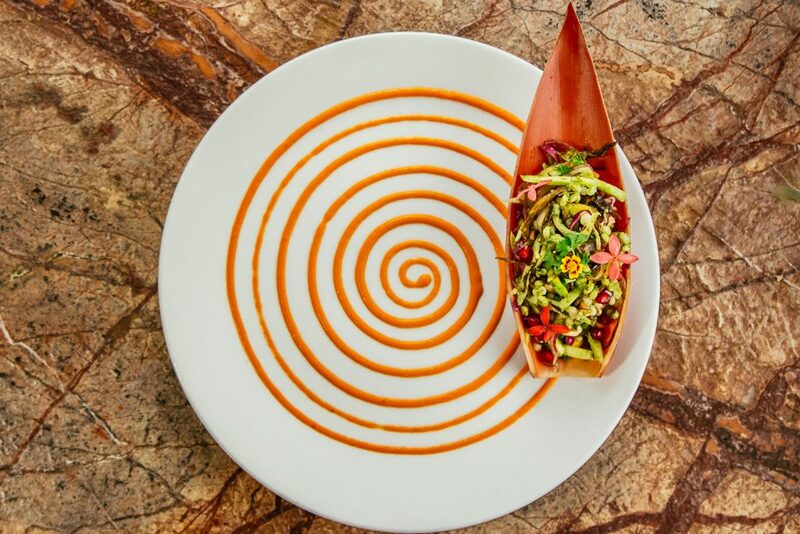 These dishes are indeed works of art! I would think twice before tasting them, in order to preserve their beauty. I’m sure they lived up in taste too. Thank you for sharing. 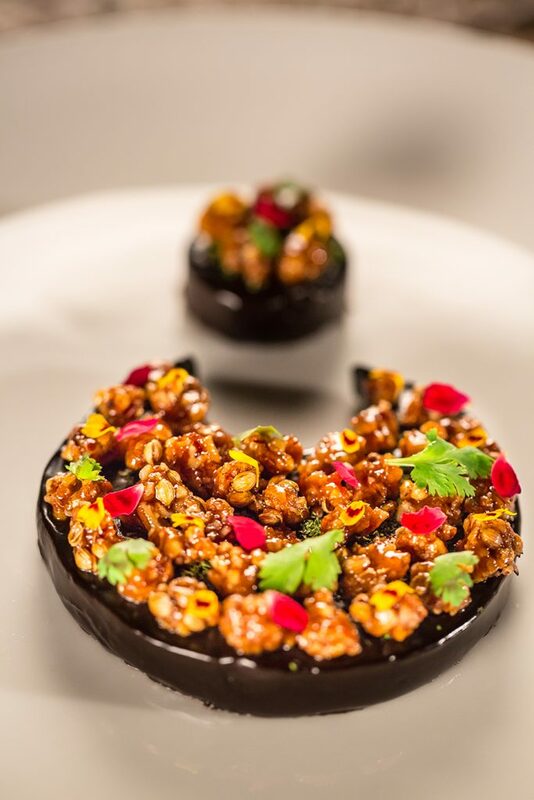 The food looks awesome and the plating is incredible. I totally enjoyed reading your write up. 70% bitter single origin chocolate with coriander water seems is totally new to me. This definitely had me wanting an exotic food indulgence right away. Love the way, you’ve described the place with such finesse and detail. Food are really very mouth watering.. Presentation of food is exquisite.. 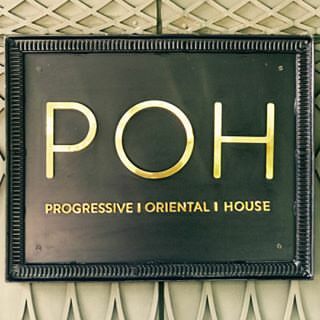 The interiors are very elegant .. Will definitely visit once..
Progressive Oriental House (POH) indeed looks like a theatre that serves up a performance that is an indulgence for the senses. Definitely, a place to head to for pampering the senses on those very special occasions. The food and the presentation ,everything is over the top.. Hope you had a great time there. By the way you are also looking super hot.. I loved the presentation and can sure learn a thing or two from it. My heart’s set on the last three dessert dishes the most! Must be quite an enjoyable experience. Now I need to say that he indeed has refined the word stimulating with his culinary skills. Indeed it would have waken up all of the senses, as all the delicacies looks lip smacking. I was absolutely amazed at the number of dishes and the way they were presented. It’s indeed not just about fine dining anymore. Lovely post. I don’t remember when was the last time when I saw food presented so beautifully. And don’t get me started at the deserts. 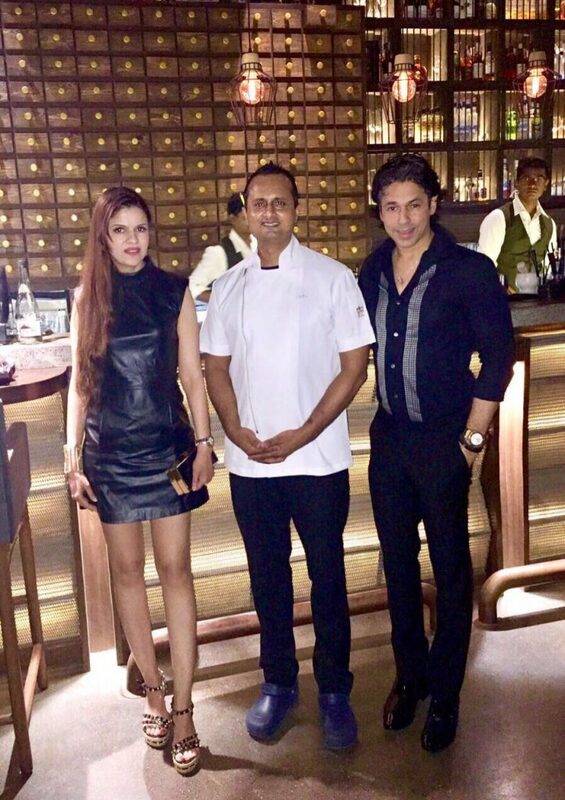 I will definitely visit POH next time, I am in Mumbai. The food Pictures looks awesome and the presentation is incredible Thanks for shaing this amazing post. hope enjoyed that. Wow so many dishes and I just love the presentation so sophisticated and lovely looking dishes. I am already drooling and would love to visit this place. Food looks amazing and delicious mouth watering. Loved the ambience of the place. All the dishes are presented beautifully. Sounds like an amazing place to have an amazing meal with the loved ones, hats off to your writing skills, each and every point is beautifully written, thank you for sharing this piece of information. Thanks Charu for your kind words. OH ! Such a chic and classy place ! Perfecf for fine dining and looks straight out of Master Chef ! I am sure it will be a delight to visit this lovely place!